Operation Flavius was a military operation in which three members of the Provisional Irish Republican Army (IRA) were shot dead by the British Special Air Service (SAS) in Gibraltar on 6 March 1988. The three—Seán Savage, Daniel McCann, and Mairéad Farrell (members of Provisional IRA Belfast Brigade ) —were believed to be mounting a car bomb attack on British military personnel in Gibraltar. Plain-clothed SAS soldiers approached them in the forecourt of a petrol station, then opened fire, killing them. All three were found to be unarmed, and no bomb was discovered in Savage's car, leading to accusations that the British government had conspired to murder them. An inquest in Gibraltar ruled that the SAS had acted lawfully, while the European Court of Human Rights held that, although there had been no conspiracy, the planning and control of the operation was so flawed as to make the use of lethal force almost inevitable. The deaths were the first in a chain of violent events in a fourteen-day period. On 16 March, the funeral of the three IRA members was attacked by a loyalist wielding pistols and grenades, leaving three mourners dead. Then, at the funeral of one of the mourners, the IRA shot two undercover British soldiers who had driven into the procession. From late 1987, the British authorities were aware that the IRA was planning to detonate a bomb at the changing of the guard ceremony outside the governor's residence in the British Dependent Territory of Gibraltar. When Savage, McCann and Farrell travelled to Spain in preparation for the attack, they were tracked at the request of the British government. 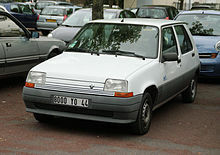 On the day of the shootings, Savage was seen parking a white Renault in the car park used as the assembly area for the parade; McCann and Farrell were seen crossing the border shortly afterwards. After a military bomb disposal officer reported that Savage's car should be treated as a suspected bomb, the police handed over control of the operation to the SAS. As soldiers were moving into position to intercept the trio, Savage split from McCann and Farrell and began running south. Two soldiers pursued Savage while two approached McCann and Farrell; as they did so, the pair were said to make threatening movements, as a result of which the soldiers opened fire, shooting them multiple times. As soldiers caught up with Savage, he was alleged to have turned around to face them while reaching into his jacket; he was also shot multiple times. All three were subsequently found to be unarmed, and Savage's car was found to contain no explosives; enquiries resulting from keys found on Farrell led authorities to a second car, containing a large quantity of explosives, in a car park in Spain. Almost two months after the shootings, the documentary "Death on the Rock" was broadcast on British television. Using reconstructions and eyewitness accounts, it presented the possibility that the three IRA members had been unlawfully killed. The documentary proved extremely controversial; several British newspapers described it as "trial by television". The Provisional Irish Republican Army (IRA) aimed to establish a united Ireland and end the British administration of Northern Ireland through the use of force. The organisation was the result of a 1969 split in the Irish Republican Army; the other group, the Official IRA, ceased military activity in the 1970s. The IRA killed civilians, members of the armed forces, police, judiciary and prison service, including off-duty and retired members, and bombed businesses and military targets in both Northern Ireland and England, with the aim of making Northern Ireland ungovernable. Daniel McCann, Seán Savage, and Mairéad Farrell were, according to journalist Brendan O'Brien, "three of the IRA's most senior activists". Savage was an explosives expert and McCann was "a high-ranking intelligence operative"; both McCann and Farrell had previously served prison sentences for offences relating to explosives. The Special Air Service is a regiment of the British Army and part of the United Kingdom's special forces. The SAS was first assigned to operations in Northern Ireland in the early stages of the British Army's deployment there, but were confined to South Armagh. The first large-scale deployment of SAS soldiers there was in 1976, when the regiment's D Squadron was committed. The SAS specialised in covert, intelligence-based operations against the IRA, using more aggressive tactics than regular army and police units operating in Northern Ireland. From late 1987, the British authorities were aware that the IRA was planning an attack in Gibraltar and launched Operation Flavius. The intelligence appeared to be confirmed in November 1987, when several known IRA members were detected travelling from Belfast to Spain under false identities. MI5—the British Security Service—and the Spanish authorities became aware that an IRA active service unit was operating from the Costa del Sol and the members of the unit were placed under surveillance. After a known IRA member was sighted at the changing of the guard ceremony at "the Convent" (the governor's residence) in Gibraltar, the British and Gibraltarian authorities began to suspect that the IRA was planning to attack the British soldiers with a car bomb as they assembled for the ceremony in a nearby car park. In an attempt to confirm the IRA's intended target, the government of Gibraltar suspended the ceremony in December 1987, citing a need to repaint the guardhouse. They believed their suspicions were confirmed when the IRA member re-appeared at the ceremony when it resumed in February 1988, and the Gibraltar authorities requested special assistance from the British government. In the weeks after the resumption of the changing of the guard ceremony, the three IRA members who were to carry out the attack—Seán Savage, Daniel McCann, and Mairéad Farrell—travelled to Málaga (90 miles [140 kilometres] along the coast from Gibraltar), where they each rented a car. Their activities were monitored and by early March, the British authorities were convinced that an IRA attack was imminent; a special projects team from the SAS was despatched to the territory, apparently with the personal approval of Prime Minister Margaret Thatcher. Before the operation, the SAS practised arrest techniques, while the Gibraltar authorities searched for a suitable place to hold the would-be bombers after their arrest. The plan was that the SAS would assist the Gibraltar Police in arresting the IRA members—identified by MI5 officers who had been in Gibraltar for several weeks—if they were seen parking a car in Gibraltar and then attempting to leave the territory. At the same time as the police handed control over to the SAS, they began making arrangements for the IRA terrorists once they were in custody, including finding a police vehicle in which to transport the prisoners. A patrol car containing Inspector Luis Revagliatte and three other uniformed officers, apparently on routine patrol and with no knowledge of Operation Flavius, was ordered to return to police headquarters as a matter of urgency. The police car was stuck in heavy traffic travelling north on Smith Dorrien Avenue, close to the roundabout where it meets Winston Churchill Avenue. The official account states that at this point, Revagliatte's driver activated the siren on the police car in order to expedite the journey back to headquarters, intending to approach the roundabout from the wrong side of the road and turn the vehicle around. The siren apparently startled McCann and Farrell, just as Soldiers "A" and "B" were about to challenge them, outside the Shell petrol station on Winston Churchill Avenue. "Soldier A" stated at the inquest that Farrell looked back at him and appeared to realise who "A" was; "A" testified that he was drawing his pistol and intended to shout a challenge to her, but "events overtook the warning": that McCann's right arm "moved aggressively across the front of his body", leading "A" to believe that McCann was reaching for a remote detonator. "A" shot McCann once in the back; "A" went on to tell the inquest that he believed Farrell then reached for her handbag, and that he believed Farrell may also have been reaching for a remote detonator. "A" also shot Farrell once in the back, before returning to McCann—he shot McCann a further three times (once in the body and twice in the head). "Soldier B" testified that he reached similar conclusions to "A", and shot Farrell twice, then McCann once or twice, then returned to Farrell, shooting her a further three times. Soldiers "C" and "D" testified at the inquest that they were moving to apprehend Savage, who was by now 300 feet (91 metres) south of the petrol station, as gunfire began behind them. "Soldier C" testified that Savage turned around while simultaneously reaching towards his jacket pocket at the same time as "C" shouted "Stop! "; "C" stated that he believed Savage was reaching for a remote detonator, at which point he opened fire. "Soldier C" shot Savage six times, while "Soldier D" fired nine times. All three IRA members died. One of the soldiers' bullets, believed to have passed through Farrell, grazed a passer-by. An hour and a half later, [McCann and Farrell] were seen to enter Gibraltar on foot and shortly before 3:00 p.m., joined [Savage] in the town. Their presence and actions near the parked Renault car gave rise to strong suspicions that it contained a bomb, which appeared to be corroborated by a rapid technical examination of the car. About 3:30 p.m., all three left the scene and started to walk back towards the border. On their way to the border, they were challenged by the security forces. When challenged, they made movements which led the military personnel, operating in support of the Gibraltar Police, to conclude that their own lives and the lives of others were under threat. In light of this response, they [the IRA members] were shot. Those killed were subsequently found not to have been carrying arms. The IRA notified the McCann, Savage, and Farrell families of the deaths on the evening of 6 March. In Belfast, Joe Austin, a senior local member of Sinn Féin, was assigned the task of recovering the bodies for burial. On 9 March, he and Terence Farrell (one of Mairéad Farrell's brothers) travelled to Gibraltar to identify the bodies. Austin negotiated a charter aircraft to collect the corpses from Gibraltar and fly them to Dublin on 14 March. In 2017 it emerged that Charles Haughey had secretly requested that the Royal Air Force fly the bodies direct to Belfast, bypassing the Republic of which he was Taoiseach. Two thousand people waited to meet the coffins in Dublin, which were then driven north to Belfast. At the Northern Ireland border, the Northern Irish authorities met the procession with a large number of police and military vehicles, and insisted on intervals between the hearses, causing tensions between police and members of the procession and leading to accusations that the police rammed Savage's hearse. The animosity between mourners and police continued until the procession split to allow the hearses to travel to the respective family homes. British soldiers and police flooded the neighbourhoods where McCann, Farrell and Savage had lived, to try to prevent public displays of sympathy for the dead. Later that evening, a local IRA member, Kevin McCracken, was shot and allegedly then beaten to death by a group of soldiers he had been attempting to shoot at. Republican News wrote that soldiers "had saturated the area in an attempt to intimidate the family of Volunteer Sean Savage, whose body lay in the family home a few streets away". The joint funeral of McCann, Farrell and Savage took place on 16 March at Milltown Cemetery in Belfast. The police—Royal Ulster Constabulary (RUC)—agreed to maintain a minimal presence at the funeral in exchange for guarantees from the families that there would be no salute by masked gunmen. This agreement was leaked to Michael Stone, who described himself as a "freelance Loyalist paramilitary". During the burial, Stone threw hand grenades at the gathered mourners and began shooting with an automatic pistol, injuring 60 people. After initial confusion, several of the mourners began to pursue Stone, throwing rocks and shouting abuse. Stone continued shooting and throwing grenades at his pursuers, killing three of them. He was eventually captured by members of the crowd, who had chased him onto a road and began beating him until the RUC arrived to extract and arrest him. The funeral of Caoimhín Mac Brádaigh, also known as Kevin Brady, the third and last of the Milltown attack victims to be buried, was scheduled for 19 March. As his cortège proceeded along Andersontown Road, a car driven by two undercover British Army corporals, David Howes and Derek Wood, sped past stewards and drove into the path of the cortège. The corporals attempted to reverse, but were blocked by vehicles from the cortège and a hostile crowd surrounded their car. As members of the crowd began to break into the vehicle, one of the corporals drew and fired a pistol, which momentarily subdued the crowd, before both men were dragged from the car, beaten and disarmed. A local priest intervened to stop the beating, but was pulled away when a military identity card was found, raising speculation that the corporals were SAS members. The two were bundled into a taxi, driven to waste ground by IRA members and beaten further. Six men were seen leaving the vehicle. Another IRA man arrived with a pistol taken from one of the soldiers, with which he repeatedly shot the corporals before handing the weapon to another man, who shot the corporals' bodies multiple times. Margaret Thatcher described the corporals' killings as the "single most horrifying event in Northern Ireland" during her premiership. The corporals' shootings sparked the largest criminal investigation in Northern Ireland's history, which created fresh tension in Belfast as republicans saw what they believed was a disparity in the efforts the RUC expended in investigating the corporals' murders compared with those of republican civilians. Over four years, more than 200 people were arrested in connection with the killings, of whom 41 were charged with a variety of offences. The first of the so-named "Casement Trials" concluded quickly; two men were found guilty of murder and given life sentences in the face of overwhelming evidence. Of the trials that followed, many proved much more controversial, although all convictions relied on evidence that satisfied the burden of proof required in Northern Ireland courts. The documentary attracted considerable controversy. On 26 April, two days before the programme was scheduled for broadcast, Sir Geoffrey Howe telephoned the chairman of the Independent Broadcasting Authority (IBA) to request that the authority delay the broadcast until after the inquest on the grounds that it risked prejudicing the proceedings. After viewing the programme and taking legal advice, the IBA decided on the morning of 28 April that "Death on the Rock" should be broadcast as scheduled, and Howe was informed of the decision. Howe made further representation to the IBA that the documentary would be in contempt of the inquest; after taking further legal advice, the IBA upheld its decision to allow the broadcast. The programme was broadcast at 21:00 (GMT) on 28 April. The following morning, the British tabloid newspapers lambasted the programme, describing it as a "slur" on the SAS and "trial by television", while several criticised the IBA for allowing the documentary to be broadcast. Over the following weeks, newspapers repeatedly printed stories about the documentary's witnesses, in particular Carmen Proetta, who gave an account of seeing McCann and Farrell shot without warning by soldiers who arrived in a Gibraltar Police car. Proetta subsequently sued several newspapers for libel and won substantial damages. The Sunday Times conducted its own investigation and reported that "Death on the Rock" had misrepresented the views of its witnesses; the witnesses involved later complained to other newspapers that The Sunday Times had distorted their comments. Unusually for Gibraltar, there was a long delay between the shootings and the setting of a date for the inquest (the usual method for investigating sudden or controversial deaths in parts of the United Kingdom and its territories); eight weeks after the shootings, the coroner, Felix Pizzarello, announced that the inquest would begin on 27 June. Two weeks later (unknown to Pizzarello), Margaret Thatcher's press secretary announced that the inquest had been indefinitely postponed. The inquest began on 6 September. Pizzarello presided over the proceedings, while eleven jurors evaluated the evidence; representing the Gibraltar government was Eric Thislewaite, the Gibraltar attorney general. The interested parties were represented by John Laws, QC (for the British government), Michael Hucker (for the SAS personnel), and Patrick McGrory (for the families of McCann, Farrell, and Savage). Inquests are non-adversarial proceedings aimed at investigating the circumstances of a death; the investigation is conducted by the coroner, while the representatives of interested parties can cross-examine witnesses. Where the death occurred through the deliberate action of another person, the jury can return a verdict of "lawful killing", "unlawful killing", or an "open verdict"; though inquests cannot apportion blame, in the case of a verdict of unlawful killing the authorities will consider whether any prosecutions should be brought. There was initially doubt as to whether the SAS personnel involved in the shootings would appear at the inquest. Inquests have no powers to compel witnesses to appear if the witness is outside the court's jurisdiction, although the soldiers apparently volunteered after Pizzarello declared that the inquest would be "meaningless" without their evidence. The soldiers and MI5 officers gave their evidence anonymously and from behind a screen. As the inquest began, observers including Amnesty International expressed concern that McGrory was at a disadvantage, as all of the other lawyers were privy to the evidence of the SAS and MI5 personnel before it was given. The cost of the transcript for each day's proceedings was increased ten-fold the day before the inquest began. The first witnesses to testify were the Gibraltar Police officers involved in the operation and its aftermath. Following them, on 7 September, was "Mr O", the senior MI5 officer in charge of Operation Flavius. "O" told the inquest that, in January 1988, Belgian authorities found a car being used by IRA operatives in Brussels. In the car were found a quantity of Semtex, detonators, and equipment for a radio detonation device, which, "O" told the coroner, led MI5 to the conclusion that the IRA might use a similar device for the planned attack in Gibraltar. MI5 further believed that the IRA had been unlikely to use a "blocking car" (an empty vehicle used to hold a parking space until the bombers bring in the vehicle containing the explosives) as this entailed the added risk of multiple border crossings. Finally, "O" told the coroner that McCann, Savage, and Farrell had been observed by Spanish authorities arriving at Málaga Airport, after which he claimed the trio had been lost, and that the British and Gibraltarian authorities did not detect them crossing the border. Aside from experts and security personnel, several eyewitnesses gave evidence to the inquest. Three witnessed parts of the shootings, and gave accounts which supported the official version of events—in particular, they did not witness the SAS shooting any of the suspects while they were on the floor. Witnesses uncovered by the journalists making "Death on the Rock" also appeared: Stephen Bullock repeated his account of seeing McCann and Savage raise their hands before the SAS shot them; Josie Celecia repeated her account of seeing a soldier shooting at McCann and Farrell while the pair were on the ground. Hucker pointed out that parts of Celecia's testimony had changed since she spoke to "Death on the Rock", and suggested that the gunfire she heard was from the shooting of Savage rather than sustained shooting of McCann and Farrell while they were on the ground, a suggestion Celecia rejected; the SAS's lawyer further observed that she was unable to identify the military personnel in photographs her husband had taken. 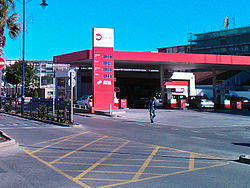 Maxie Proetta told the coroner that he had witnessed four men (three in plain clothes and one uniformed Gibraltar Police officer) arriving opposite the petrol station on Winston Churchill Avenue; the men jumped over the central reservation barrier and Farrell put her hands up, after which he heard a series of shots. In contrast to his wife's testimony, he believed that Farrell's gesture was one of self-defence rather than surrender, and he believed that the shots he heard did not come from the men from the police car. The government lawyers suggested that the police car the Proettas saw was the one being driven by Inspector Revagliatte, carrying four uniformed police officers rather than plain-clothed soldiers, but Proetta was adamant that the lawyers' version did not make sense. His wife gave evidence the following day. [note 3] Contrary to her statement to "Death on the Rock", Carmen Proetta was no longer certain that she had seen McCann and Farrell shot while on the ground. The government lawyers questioned the reliability of Proetta's evidence based on her changes, and implied that she behaved suspiciously by giving evidence to "Death on the Rock" before the police. She responded that the police had not spoken to her about the shootings until after "Death on the Rock" had been shown. ^ For security, the SAS, MI5, and Gibraltar Police Special Branch personnel involved in the operation were not named, and were identified by letters of the alphabet in subsequent proceedings. ^ The SAS officers later testified that they were twice briefly handed control (at 15:00 and 15:25) prior to the 25 minutes in which the shootings took place; Canepa's deputy commissioner stated that he was unaware of either interregnum. ^ Carmen Proetta was the subject of a series of articles in tabloid newspapers throughout the summer; she later successfully sued The Sun and other newspapers for libel, and was awarded substantial damages. ^ Randall was on holiday abroad at the time of the inquest, having been advised by the Gibraltar Police that he would not be needed. Upon his return, he strongly denied putting any pressure on Asquez. Baldachino, Cecilia; Benady, Tito (2005). The Royal Gibraltar Police: 1830–2005. Gibraltar: Gibraltar Books. ISBN 1919657126. Bishop, Patrick; Mallie, Eamonn (1988). The Provisional IRA. London: Corgi. ISBN 9780552133371. Bolton, Roger (1990). Death on the Rock and Other Stories. London: W. H. Allen Ltd. ISBN 9781852271633. Coogan, Tim Pat (2002). The IRA (5th ed.). New York: Palgrave Macmillan. ISBN 9780312294168. Crawshaw, Ralph; Holmström, Leif (2006). Essential Cases on Human Rights for the Police. Leiden: Martinus Nijhoff Publishers. ISBN 9789004139787. Dillon, Martin (1992). Stone Cold: The True Story of Michael Stone and the Milltown Massacre. London: Hutchinson. ISBN 9781448185139. Eckert, Nicholas (1999). Fatal Encounter: The Story of the Gibraltar Killings. Dublin: Poolbeg. ISBN 9781853718373. English, Richard (2012). Armed Struggle: The History of the IRA (revised ed.). London: Pan Macmillan. ISBN 9781447212492. Morgan, Michael; Leggett, Susan (1996). Mainstream(s) and Margins: Cultural Politics in the 90s. Westport, Connecticut: Greenwood Publishing Group. ISBN 9780313297960. O'Brien, Brendan (1999). The Long War: The IRA and Sinn Féin. Syracuse, New York: Syracuse University Press. ISBN 9780815605973. O'Leary, Brendan (2007). Heiberg, Marianne; O'Leary, Brendan; Tirman, John, eds. The IRA: Looking Back; Mission Accomplished?. Terror, Insurgency, and the State: Ending Protracted Conflicts. Philadelphia: University of Pennsylvania Press. ISBN 0812239741. Punch, Maurice (2011). Shoot to Kill: Police Accountability and Fatal Force. Bristol: Policy Press. ISBN 9781847424723. Urban, Mark (1992). Big Boys' Rules: The Secret Struggle Against the IRA. London: Faber and Faber. ISBN 9780571168095. Waddington, PAJ (1991). The Strong Arm of the Law: Armed and Public Order Policing. Oxford: Oxford University Press. ISBN 9780198273592. Williams, Maxine (1989). Murder on the Rock: How the British Government Got Away with Murder. London: Larkin Publications. ISBN 0905400100. Windlesham, Lord (David); Rampton, Richard, QC (1989). The Windlesham-Rampton Report on "Death on the Rock". London: Faber and Faber. ISBN 9780571141500. ^ "Gibraltar killings and release of the Guildford Four". BBC News. 18 March 1999. Retrieved 31 January 2014. ^ McKittrick, David (6 June 1994). "Dangers that justified Gibraltar killings". The Independent. Retrieved 31 January 2014. ^ a b Eckert p. 138. ^ Bishop & Mallie, pp. 136–138. ^ Coogan, pp. 375–376, 379. ^ a b O'Brien, p. 151. ^ Crawshaw & Holmström, p. 88. ^ a b Punch, p. 15. ^ a b Eckert, p. 83. ^ Crawshaw & Holmström, p. 92. ^ a b English, p. 256. ^ a b Morgan & Leggett, pp. 145–148. ^ Morgan & Leggett, pp. 150, 152. ^ "Haughey didn't want IRA bodies from Gibraltar in Dublin". RTÉ.ie. 25 August 2017. Retrieved 25 August 2017. ^ Eckert, pp. 116, 151. ^ Windlesham & Rampton, pp. 130–131. ^ a b c Crawshaw & Holmström, p. 93. ^ Eckert, pp. 181, 194. ^ Crawshaw & Holmström, p. 89. ^ Eckert, pp. 142, 149. ^ a b Eckert, p. 235. ^ a b Williams, p. 42. ^ a b c Eckert, pp. 286–287. ^ Crawshaw & Holmström, pp. 94–95. ^ Crawshaw & Holmström, pp. 97–104. ^ Baldachino & Benady, p. 71. ^ Morgan & Leggett, p. 147. ^ Mills, Heather (28 September 1995). "Sudden death and the long quest for answers". The Independent. Retrieved 31 January 2014. ^ Rule, Sheila (20 September 1990). "I.R.A. raid wounds an ex-British aide". The New York Times. Retrieved 31 January 2014. ^ Windlesham & Rampton, pp. 3–4. This page was last edited on 31 March 2019, at 07:44 (UTC).